Transportation Costs > How Much Does AcuraLink® Cost? How Much Does AcuraLink® Cost? AcuraLink® is a telematics system designed for Acura vehicles. This modern Cloud-based service system offers intuitive access to music, media, emergency services, new surface-street traffic conditions, and live operator assistance. How much does an AcuraLink® subscription cost? Standard - Tap into the Cloud using the AcuraLink Streams app via your smartphone, which delivers cloud-based media such as podcasts and Internet radio stations. - The navigation system uses real-time traffic updates and the current conditions on the road. - Onboard, wireless device that supports two-way data and voice transmission. - The Connect app, which displays information about the vehicle, unlock/locks doors, a message center, digital owner's manual and is able to send help. AcuraLink® highlights, as included in our table above, includes next-generation apps, navigation with real-time traffic updates, remote access, messages, maintenance, assistance with a touch of a button and a digital owner’s manual. Most of the high-end features of AcuraLink® require cellular phone or smartphone connection integration. This is not really an added cost if you have an existing smartphone or tablet; however, if you do not own one, you will not be able to enjoy the full benefits. In the event that the client’s vehicle is unable to make a cellular connection due to signal strength, location, or another technical difficulty, the Connect and Assist features will not work. This also means that the automatic request for emergency response services will not occur. The upgraded version of AcuraLink®, known as the AcuraLink® Next Generation, is only available on select RLX and MDX vehicles beginning with the 2014 model year and TLX beginning with 2015. Future models in 2015 will support AcuraLink The Next Generation. If you want to enroll, you can go to the official website or you can call AcuraLink® support at 877-375-2638. A local certified Acura dealer can help you as well. Acura owners have mentioned that you’re able to haggle on the prices if you call them directly. 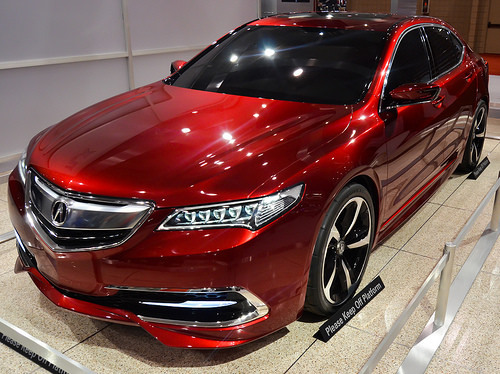 A 90-day trial is available by calling Acura directly for the Connect and Premium packages. This is a great way to test the higher-end tiers to see if it’s something worth purchasing. When purchasing from a dealer, see if they can work on the costs to your satisfaction. You may be able to find they will lower the car price in order to make the costs for this service a lot less than retail.